Spring is finally here, and we are beyond excited for it! The perfect way to celebrate the arrival of spring is by bringing those beautiful blooming flowers that accompany the season from outdoors to indoors in fun and unique ways. Creating a beautiful and flourishing arrangement is something anyone can do. 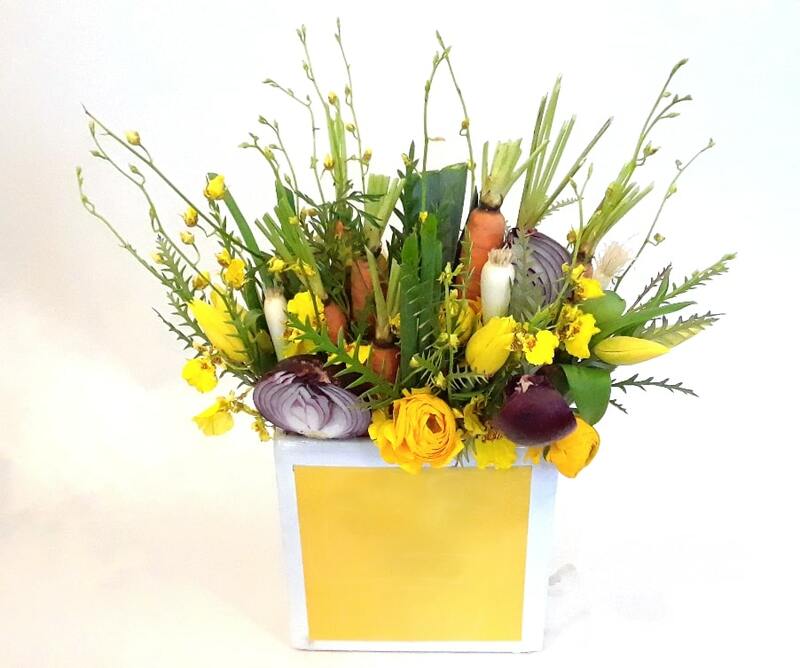 Read our step by step guide below to learn how to make your own fresh spring flower arrangement, and how to keep it healthy! Gather your materials. You will need a vase or vessel to hold your arrangement, a sharp knife or floral clippers, and most importantly, gorgeous flowers! 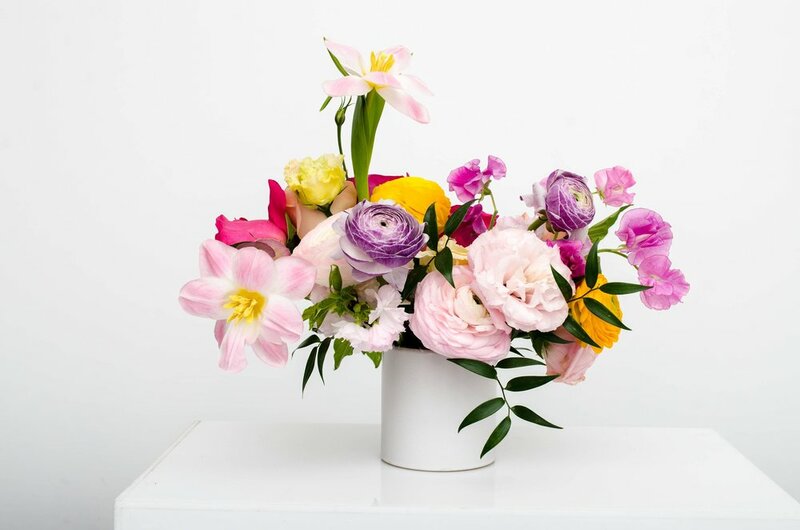 Use your non-dominant hand to hold the flowers so that you can use your dominant hand to cut the stems of your flowers and place them in your vessel. Always remove any leaves that would sit below the water line. Leaves contain pesticides that will transfer to the water and poison the flowers. 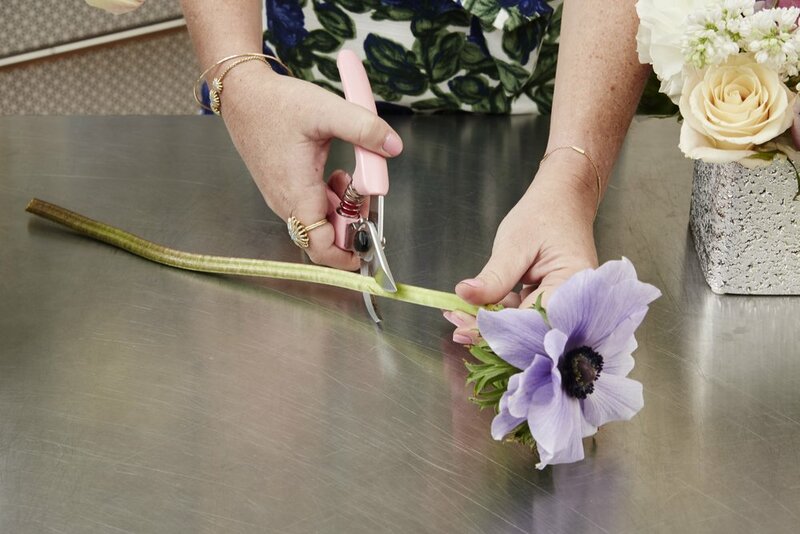 Cut the stems of your flowers at a 45 degree angle with floral clippers or sharp scissors. This angle provides more surface area for your flower to absorb water. Always make sure to place your flowers in water within 30 seconds of cutting them so the follicles don’t begin to close. Also make sure that the bottom of your stems are covered with water when you place them in your vase or vessel. When arranging, we always like to start with the biggest heads of the flowers in the center, to create a full and lively base for the arrangement. Then fill in your arrangement with your smaller flowers, and lastly greens. Turn your arrangement as you create it to make sure you can see it from all angles. Be sure to change the water in your arrangement every 2-3 days to keep your flowers fresh and lively! With vases, you can get really creative! You can use daily household items for vases, such as mason jars. You can paint your own ceramic vase first before adding in an arrangement of fresh florals. If you’re hosting an upcoming gathering or party, use something out of the ordinary for your vase, such as a piece of fruit. Mix and match your vases at your next event to cultivate an animated and playful atmosphere. Go for bold color combos that you don’t see everyday. Choose vibrant hues that will really make your arrangements stand out against a subtle backdrop. On the opposite side of the spectrum, opt for a more natural, earthy tone to your arrangement by using only whites, greens, and blues. Additionally, use loose, flowing greenery that will add a mystical ambience to your arrangement. Don’t be afraid to add in non-floral elements to your arrangements to add a pop of fun and eccentricity. Use things that are also found in nature, such as fruits and vegetables, to keep your decor cohesive. Utilize animated and quirky elements such as candy to create a cheerful arrangement that guests at your next dinner party will definitely want to snap a pic of! No matter what color combo or vase you use, embrace your spring floral arrangement to the max. Incorporate colors that brighten up your room and use greenery that can bring a refreshing lift of spirits to your household. Making your own spring floral arrangement can be fun for your whole family, or even with a group of girlfriends for a new take on a GNO. Learn new styles and try new tricks, and don’t be afraid to be bold!